P70100- (Foam) Bring comfort to any sitting surface with The Foam Invalid Cushion. 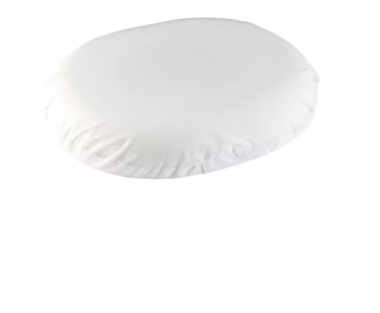 This cushion provides long lasting comfort by conforming to the user's natural body contours. Its removable cover is wrinkle resistant and machine washable. Foam contours to the body for comfort. Removable cover is machine washable. wrinkle resistantDurable heavy usage cushion conforms to natural body contours. Clean with damp cloth, easy to inflate and deflate for travel. Contains natural rubber. 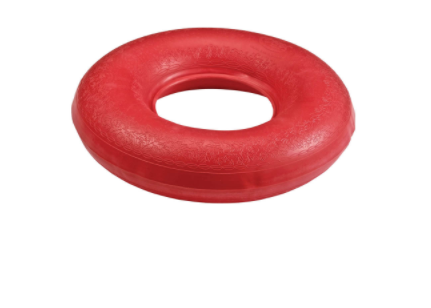 16" Diameter x 3" H.
P70300- (Rubber) The Inflatable Rubber Ring Cushion conforms to the natural contours of the body for comfort while sitting. 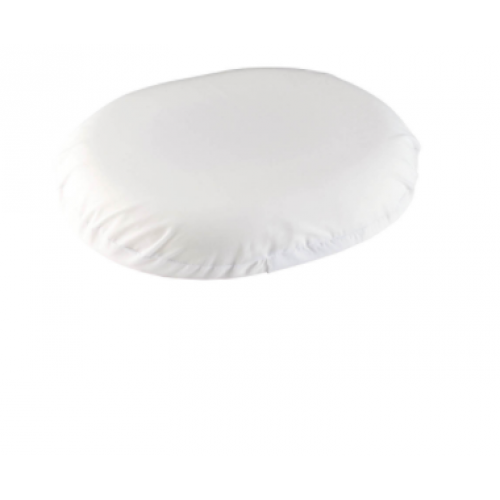 This cushion is easy to clean with a damp cloth and easy to inflate or deflate. It is made from durable heavy gauge rubber. This product was way too thick and too dense and it made both my back and my back and my neck hurt terribly. You would not allow me to return it so I will never buy another product from your company.